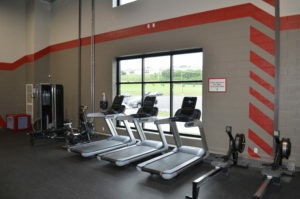 recROC is equipped with state-of-the-art equipment in a unique and energizing environment – all FREE to use by our recROC Members! 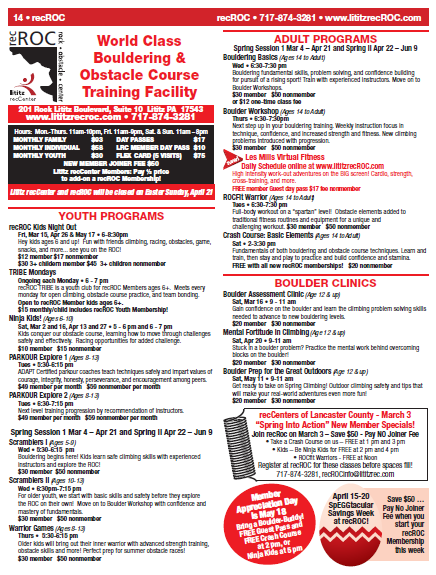 Personal training is available by appointment with our certified staff from Lititz recCenter and recROC. Customize a work out after an assessment and orientation, focus on particular goals or techniques, or create a whole new routine at recROC! 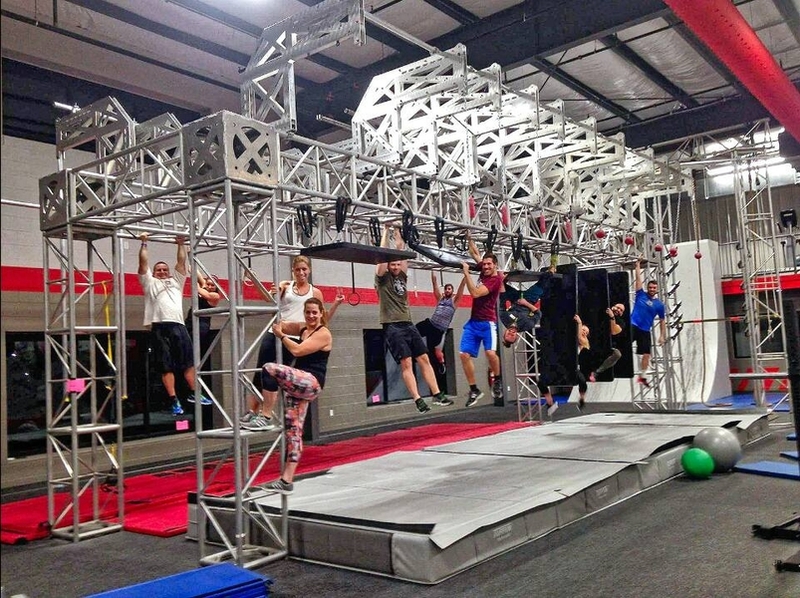 Learn more about our “ninja-style” obstacle course, combining more than a dozen unique challenge elements. Give it a go, then get ready for a timed racing challenge (compete against friends, co-workers, or your own personal best).